My friend brought this recipe to our freezer meal swap group and I instantly fell in love. It’s freezer-friendly, kid-friendly, tastes awesome and is a casserole that’s actually fairly healthy. I mean how many casserole recipes do you know that don’t call for cream soups or 2 cups of cheese on the top? I hope you will give it try because I know your family will love it. Step 2: Cook noodles and drain. Step 3: Mix all ingredients in a large greased casserole dish. Step 4: Bake at 350 for 20 minutes. 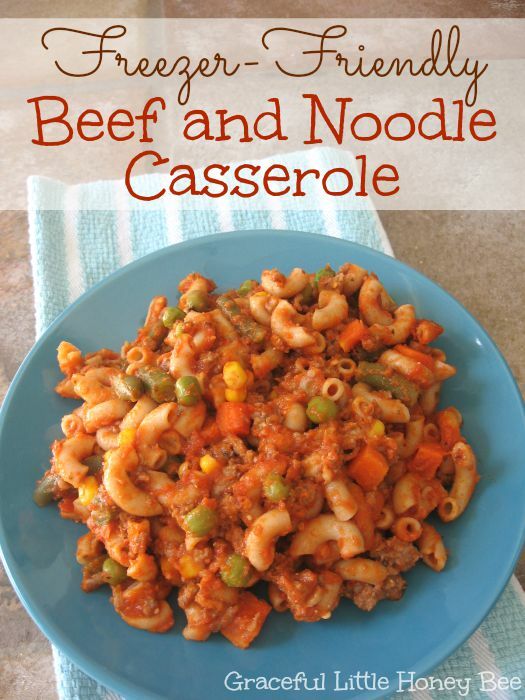 Mix all ingredients in a large greased casserole dish.